Gala Fairydean vs Selkirk FC at Netherdale. Gala Fairydean Rovers manager Steven Noble. Gala Fairydan Rovers produced a stirring fight back to secure all three points when beating East Kilbride last Saturday. The big-spending visitors had won both their opening games and are amongst the favourites to win the League this season. 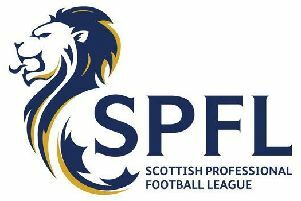 But they found themselves trailing to a Jamie Gibson penalty with Gala bouncing back from the disappointment of a midweek home defeat at the hands of Stirling University. The home side squandered several chances to extend their lead and Kilby levelled through Sean Winter before the break. The introduction of former Scotland cap Robbie Winters appeared to give the visitors the edge as he slipped the ball through for Jack Smith to drill home a second. But Gala simply rolled up their sleeves and stunned East Kilbride with two sensational strikes. Billy Miller cut in from the left and unleashed a stunning 25-yard-thunderbolt in the 74th minute and, 60 seconds later, Stuart Noble pounced on a slack back pass and squared to skipper Gibson who curled his shot in via the underside of the bar. With only five minutes remaining Noble broke clear and slotted the ball past the advancing keeper only to be controversially flagged for offside. However Gala held on for a deserved three points.